The Malawi Anti-Corruption Bureau (ACB) has given a reason for their delay in concluding investigations of corruption cases involving five local companies. The body has, since the revelations about massive looting and plundering of public resources dubbed cashgate in 2013, been battling to bring those involved to book. However, its efforts have suffered myriad setbacks ranging from financial resources to shortage of materials. In support of this claim, the bureau’s deputy director Reyneck Matemba has been quoted by a local radio station as saying that international legal issues are affecting their ongoing investigations. He said the five corruption cases involving various companies need satisfaction of international legal requirements if they are to be brought to conclusion. Matemba; Admits there are blockages in the cases. This is because the companies carried out some of the money transactions outside this country as a result there is need for those countries to take part in investigating the companies. One of the companies is Thuso Investments and it is under ACB’s probe having received huge sums of money from the Malawi Government for services not rendered. 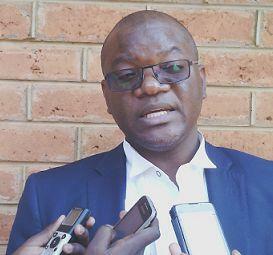 The business agency claimed to have had an ‘agreement’ with Lilongwe to supply military weapons. On the contrary, no arsenal was supplied to the country thus subjecting the company to investigations for corrupt offences. Matemba’s remarks are also assuring in nature as he implies that they are still looking into the cases until they get to the bottom of each one. President Peter Mutharika, upon claiming the government’s driving seat, assured Malawians that he will bring all those involved in corruption cases to book even if they happen to be government officials. True to his words, a number of people have been sentenced with a bunch of corruption cases being placed under the law’s eye. The fight against corruption is one of the conditions imposed by donors if the country is to resume getting aid. The K24 billion corruption scandal that is blamed on the previous regime influenced donors to lose their faith and withhold aid. However, they promised to resume helping the country if they will be convinced that efforts to curb the act have been applied. Kodi munayambira muja cashgate yake iti,osangoti munalephera mwabwinji? Zinatikwana zimenezo;kufufuza za cashgate zomwezo ena mpaka akulemera nazo kumagura magalimoto,zikukukomerani inuyo amene mukufufuza. Bola tingomatcha basi ndalama za misokho zanthu mukudya ngat tomato agalu inu. Black or white do ur job! Choti Mudziwe, Ife Ndife Olamulila Ndiye Sitingadzimangitse Tokha Koma Otsutsanu Mutha ndikumangidwa agalu achabechabe inu, mbuzi za anthu ! Mukungogwira ana okhaokha Mawo alikuti? 595Billion mukuchita nayo mantha kuifufuza.Akudyetsani banzi inu. Unless the K577bn is also exposed it is when we will say that you are serious fighting against corruption .